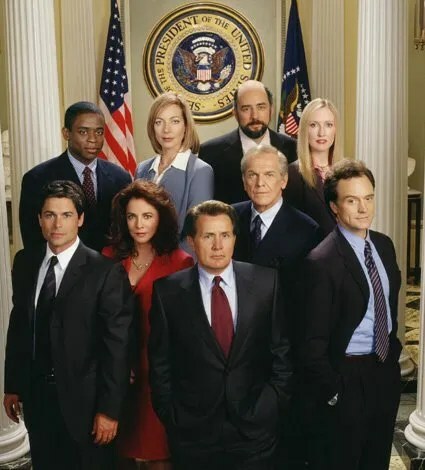 Denisa and I are still making our way through The West Wing–done with Season 3 now, actually. And yes, I’m still really enjoying the show. But as I’ve been watching it, a beef I have with modern politics has come into focus. Not like I haven’t complained about politics before or anything. But this is a new approach to me disliking it, and so I thought I’d get the thoughts down on virtual paper. It boils down to this: don’t demonize people who disagree with you. In the show, Republicans are often (or almost always) portrayed as knuckle-dragging neanderthals, intent on nothing but stealing money from the poor and being self-centered idiots. The show doesn’t always portray them this way. There are some token “reasonable” Republicans. But particularly in the story arc focused on the reelection, Bartlett’s Republican competitor is a real weasel. It’s cheap in The West Wing, and it’s cheap in real life. Politics, religion, philosophy–all the big idea sort of topics we humans like to debate–they’re all much more complex than simple black/white issues. When we make the mistake of assuming the people who disagree with us are stupid or not as cultured, we risk making foolish decisions. the uncritical acceptance of the intellectual climate common to our own age and the assumption that whatever has gone out of date is on that account discredited. You must find why it went out of date. Was it ever refuted (and if so by whom, where, and how conclusively) or did it merely die away as fashions do? If the latter, this tells us nothing about its truth or falsehood. From seeing this, one passes to the realization that our own age is also “a period,” and certainly has, like all periods, its own characteristic illusions. They are likeliest to lurk in those widespread assumptions which are so ingrained in the age that no one dares to attack or feels it necessary to defend them. To me, chronological snobbery is the idea that people who lived a long time ago were stupid or less enlightened than people who live today. That ideas that are old are somehow less valuable than ideas that are new. That if something has fallen out of favor, it is now worthless. This is, of course, nonsense. Smart people then were just as smart as smart people now. They may not have had computers or indoor plumbing, but they were pretty darn good at thinking. So let me take that idea of snobbery and extend it to the political realm: political snobbery. Boiling down politics to a right/wrong level. Assuming that the “other side” is stupid/boorish/ignorant/selfish/etc. When we reduce views that don’t align with our own, we risk becoming one-sided. Mentally atrophied. If your ideas and opinions aren’t strong enough to withstand some really strong arguments, how valuable are those opinions to begin with? Don’t get me wrong: a lot of the rhetoric that Republicans throw around is just infuriatingly obtuse. But so is the tripe Democrats come up with. But that’s when they’re pandering to proponents of political snobbery. Once we get beyond that–once we realize that people have differing views because there are some compelling reasons that form the foundation of those views–then we can start having real discussion. Real compromise. As long as we persist in setting up straw men that we can’t beat up easily, we’re no better than Kramer dominating the dojo. Well written Mr. Cundick. We tend to forget, that those with views whom we may greatly differ, are also creations of our Heavenly Father.